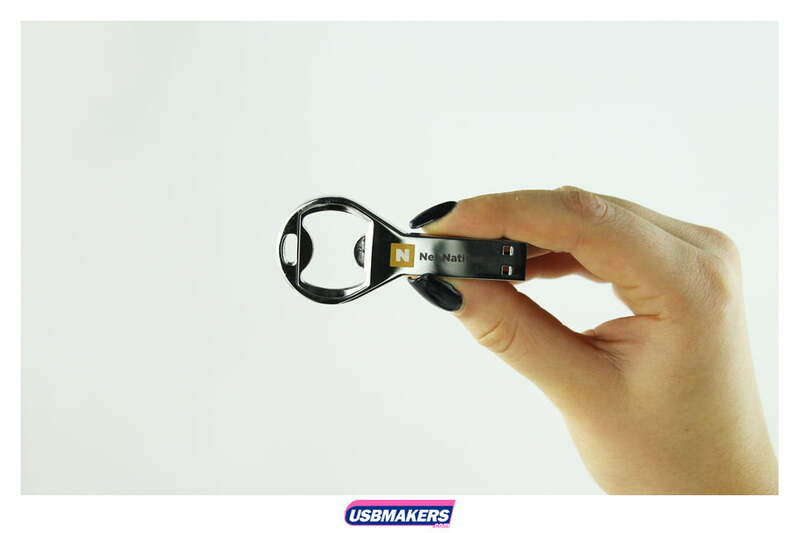 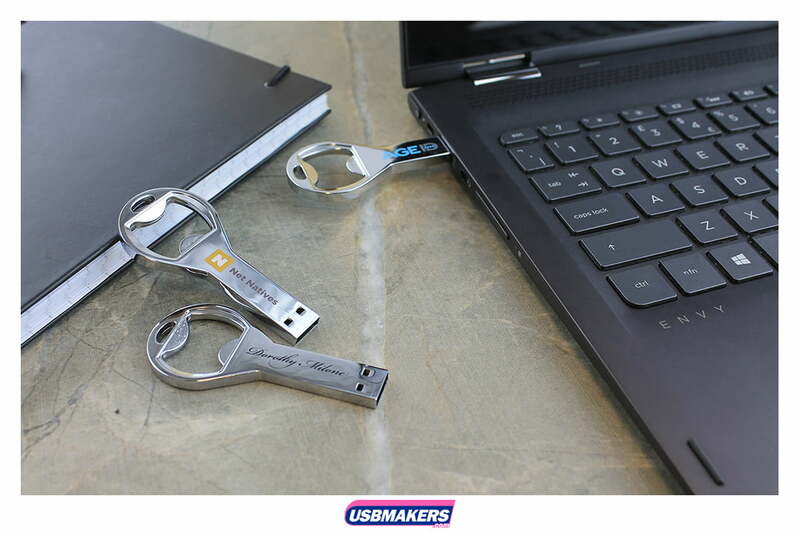 The Retro Bottle opener USB Drive is a unique design which boasts a functioning bottle opener on one end, and the USB Drive on the other. 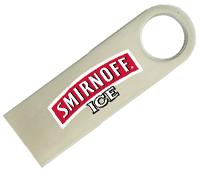 Perfect for the drinks industry or if you wish to offer your clients something special. 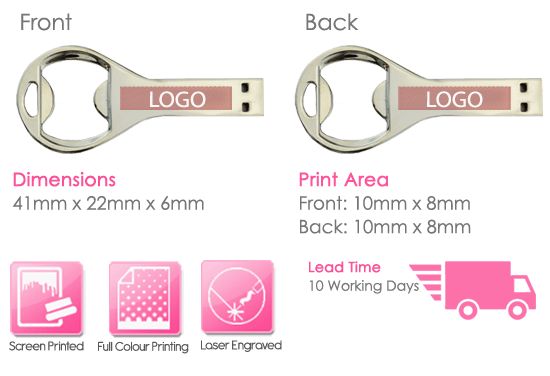 Your logo can be either 1-4 spot colour printed or laser engraved one or both sides of the metal to enhance your brand awareness to its full potential. 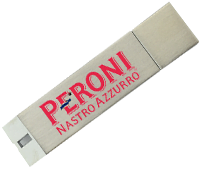 The Retro Bottle Opener has a minimum order of just 50 units and ranges in data sizes from 128Mb to 64Gb, allowing you to customise your order to as much as you need or want to! 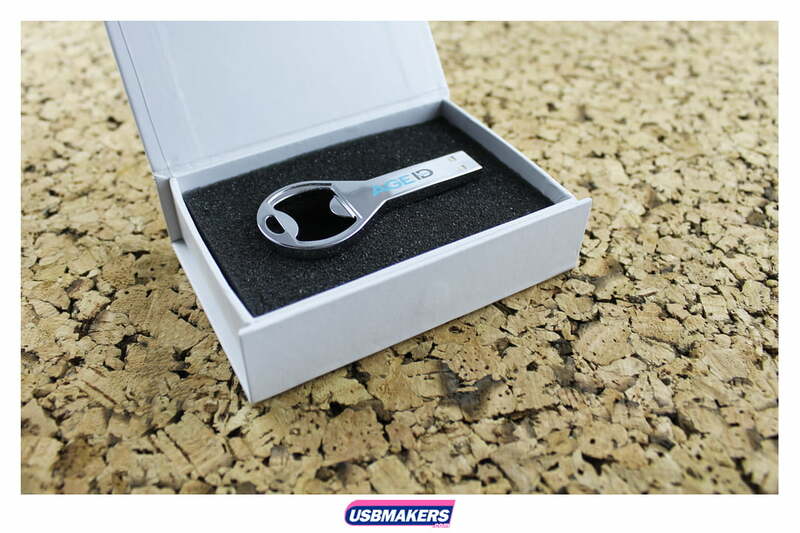 The Retro Bottle Opener USB Drive also has a small hole at the end for the ability to thread a key chain or lanyard through so you can always keep it close by. 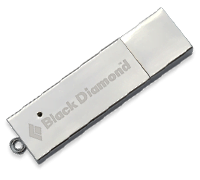 We offer up to 400Mb of data uploading free of charge, if however, your data needs are larger we can supply this at an additional cost. 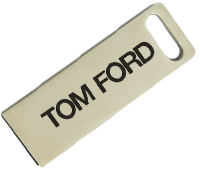 Contact us today for a free tailored quote!